You can see a selection of print and online pieces featuring Rosalind Miller Cakes below. Please get in touch with info@rosalindmillercakes.com for any press requests and enquiries. Rosalind and her daughter Yasmine discuss working together with Jill Foster. View full article here. Rosalind discusses the Royal Wedding. Read Rosalind’s insights into 2018 wedding cake trends here. Featuring our Marie Antoinette cupcakes. Photo by Karin Berndl. Featuring our Blue Sky Blossoms cake and mini cake towers (available at Harrods). A 6 page spread in the special wedding edition, featuring some of our most popular designs – including Briar Rose, Ombre Rose, Ruffles and Pearls and Gatsby. A double page spread featuring 5 of our cakes including Blue and Gold Marbled. A feature covering a Sugar Flowers Masterclass taster at our studio. Featuring our jewellery boxes and cushion cakes decorated with cookies, edible jewels and gold detailing, with hand-piped cupcakes and cookies. Rock N Roll Bride Magazine featuring our Ombre Rose cake. Our Peonies and Pearls cake, made for their 120th Anniversary Edition. Styled photoshoot featuring our Grand Budapest cake, cakes from our Confection by Rosalind Miller range, and mini cake towers. 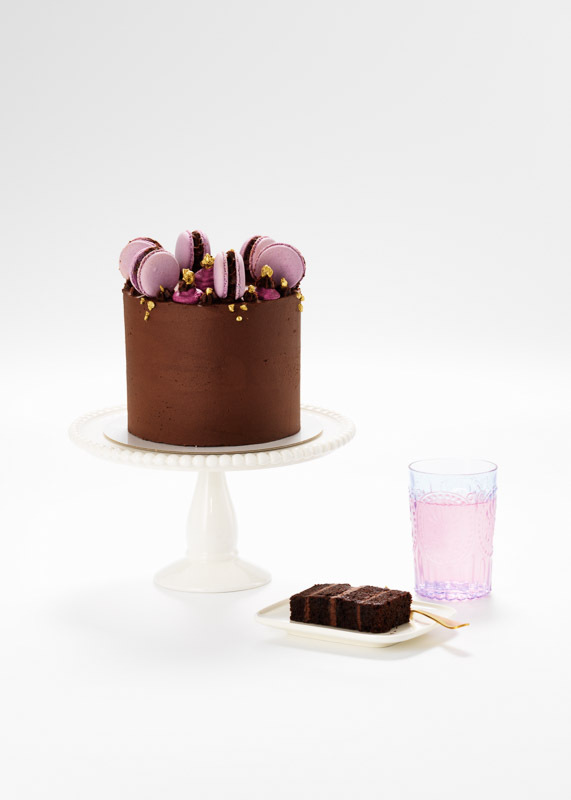 Styled photoshoot featuring our cakes from our Confection by Rosalind Miller range. The Bridal Issue featuring a double page spread and interview, including our White Anemones wedding cake. Featuring our Blue Meadows wedding cake. Featuring our stand at The Wedding Gallery. Marie Claire Weddings Korea featuring our Climbing Wildflowers wedding cake. This editorial, styled by Laura Burkitt, features our Watercolour wedding cake. We were commissioned by Harrods to design 3 new wedding cakes (The Botanical Collection) for their ‘Stealing Beauty’ window campaign which lasted for 6 weeks during February and March. This editorial was part of a larger feature of some of the brands involved in the window display, and showcases our Signature Pink cupcakes, available daily from the Bakery Counter in their Food Halls. A real wedding piece on the wedding of one of our brides at Blenheim Palace, with our Pink Peonies wedding cake design. 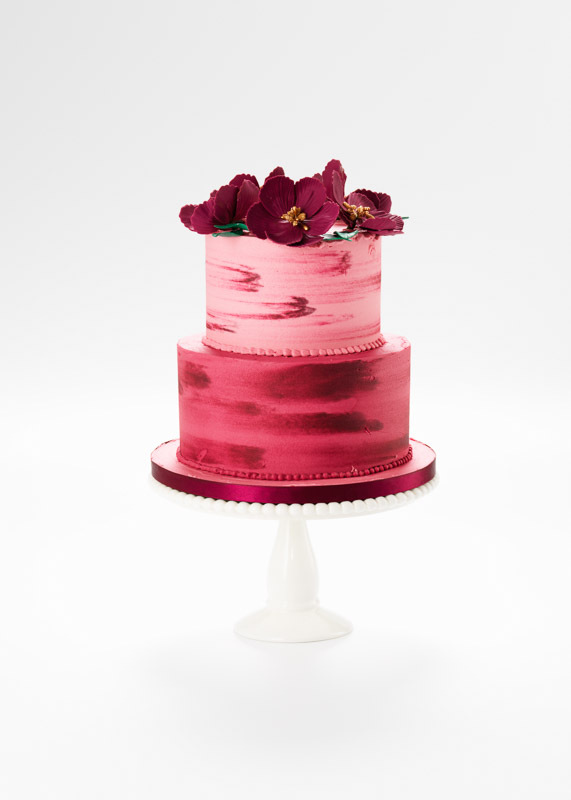 Our Embroidered Flowers wedding cake featured in the Harrods Magazine. Our Marie Antoinette wedding cake featured in Grace Ormonde Wedding Style. Harrods Magazine interviewed Rosalind for this feature, discussing wedding cakes and Rosalind Miller Cakes at Harrods. A 3 page article and interview on Rosalind Miller Cakes was featured in both Absolutely Dulwich and Absolutely South East, along with a cover mention. We were commissioned by Brides magazine to design 3 metallic wedding cakes for this feature on their favourite wedding cake designers. The piece features our Golden Meadows, Golden Botanicals and Silver Sprigs designs. Our Piped Embroidery and Orchids and Anemones cakes were featured in this issue of the Harrods Magazine, adorned with some stunning bridal jewellery from designers including Chanel, Harry Winston, and De Beers. Our Amethyst Forest wedding cake featured in the Ritz the Magazine. Our Marie-Antoinette wedding cakes and cupcakes were featured in this editorial in Brides magazine. A Marie-Antoinette styled shoot in the Sunday Times Style magazine, featuring 3 of our cakes including our Marie Antoinette wedding cake. Rosalind Miller Cakes won the award for London and National ‘Best Wedding Cake Designer’ 2 years in a row, and Rosalind is now a judge for the same category.